John is a small town reporter who has just been given the chance of a lifetime. The notorious serial killer Taylor the Tailor has requested him personally to write her life story. The catch is John has only three days before Taylor is to be electrocuted to interview her. During those three days John unravels a story like no other. Overwhelmed in just the first interview, John turns to his young assistant, Lauren, for help. Lauren readily agrees and heads to Taylor's hometown to come up with cold hard facts to help make Taylor's story a credible one. John's interviews start off with Taylor's childhood, and to his horror, John realizes that Taylor had begun to kill as early as the age of four with her first victim being her father. 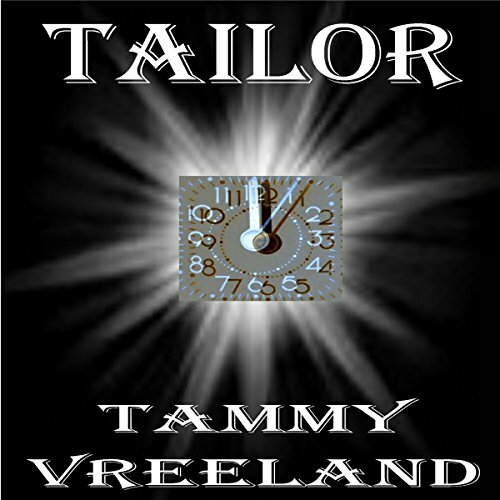 As Taylor grows up, her list of victims increases as her skills at being "The Tailor" sharpen. Tim is Taylor's brother, who had been institutionalized at a very young age. Upon being released Tim had changed his name so as not to be connected with Taylor in any fashion. Unfortunately, due to Taylor's impending doom, Tim finds himself thrown back into Taylor's world. Tim and Lauren team up to try and put a stop to Taylor's evil once and for all. Yet, all three of them question why Taylor wants her story to be told now? Is it to seek redemption for all the bad deeds she has done, knowing her time is limited? Maybe, it's to brag to the world how much she got away with and how she did it? Or is it something so much darker that none of them will find out until the third day at the stroke of midnight? If you could sum up Tailor in three words, what would they be? What was one of the most memorable moments of Tailor? When Tim has his first interview with Lauren. What about Tammy Vreeland’s performance did you like? I'll be honest I almost didn't get this due to the comments about the narration. I listened to the sample and knew what I was getting into. The reader was just as the sample, no slurring words, no heavy breathing, just simple reading. It may not have been a full blown out production but I enjoyed it. I did because I wasn't sure where it was going and then I figured the ending but she took it a step farther which I really liked. Listen to the sample so you know what you are getting. As for the story I had thought it would be more of a murder/mystery due to the listing but it was darker... should have probably been put in Thriller or Horror. A different narrator. Couldn't even listen longer than 5 minutes, narrator that terrible. What was most disappointing about Tammy Vreeland’s story? What didn’t you like about Tammy Vreeland’s performance? Don't know enough to rate the story because I couldn't get past the narrator. If you could play editor, what scene or scenes would you have cut from Tailor? Don't know - couldn't get past the narrator. Don't let anyone use this narrator again. The story was creative, the characters were interesting and the plot held my attention. Although the narration is simple. I would not. It was written in a very simplistic manner (which the horrible narration seemed to emphasize) and was incredibly predictable. I didn't have another book downloaded or I would have stopped dead in my tracks. I stuck it out - no surprises! When I heard the first few lines, I knew the author should not have narrated this story. I actually think her narration made the predictable, simplistically crafted story worse. A better narrator could have improved the experience. As it was, you found yourself cringing at the narration more than the story. Was Tailor worth the listening time? This story is unique and entertaining. It has quite a few nice twists. The narration is easy listening and rythmic.